Located in the Greyhawk area...One level luxury living with Custom finishes. Walking to local shops and great restaurants! 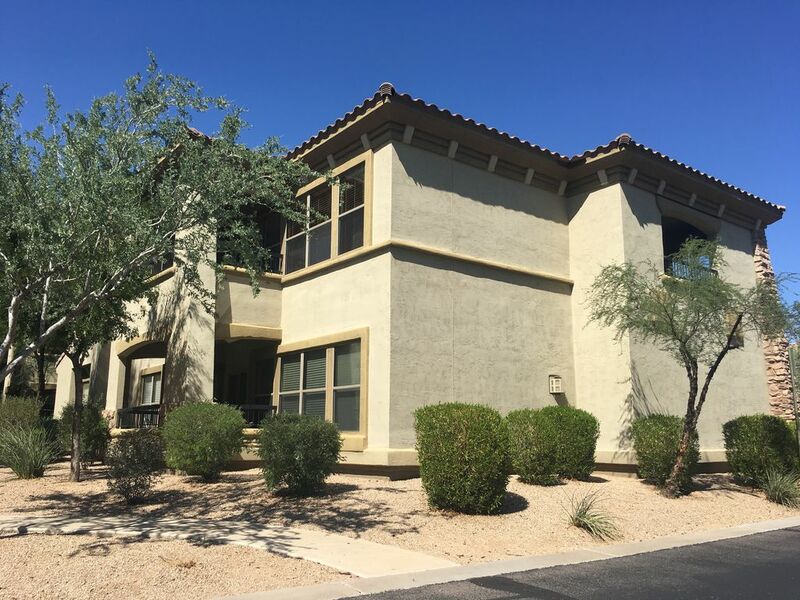 Kierland shopping center minutes away and golfing in every direction! Newly remodeled clean 2 bedroom condo with with the luxuries of Home and much more! Come relax by one of the resort like 3 pools or relax on either of the patios with views of the mountains. Peaceful location tucked away for relaxation! Please come stay and enjoy! Lovely setting, beautifully furnished, and everything you need for a wonderful vacation. Great pools. Convenient for shopping and entertainment. Would definetly rent this condo again. We had a wonderful AZ visit. The property is comfortable, tastefully decorated, and has two lovely outdoor patios. Rae was always quick to respond to questions, and when a wifi glitch occurred we were able to figure it out together. We would definitely stay here again! Enjoyed our time in Scottsdale. Condo was convenient to hiking trails , great restaurants and pickle ball courts and Lifetime Club. Especially enjoyed the condos outdoorsecond floor patio for relaxation after a day of activity. Fantastic condo! Ray & Jules were incredibly accommodating. Would definitely stay again. We had a wonderful time in Scottsdale. This property is close to shopping, golf and restaurants with easy access to the 101. The homeowners quickly replied to any questions we had. The property is lovely with several pools and spas and is in a gated community. We highly recommend renting from Jules and Ray. Thank you so much guys for the lovely review! We loved having you stay at our place. You were great!